A Catholic aged care provider has welcomed the Morrison Government's funding boost for home care packages, but says more needs to be done. Source: The Catholic Leader. An additional 5000 level-three and 5000 level-four home care packages will be allocated by mid-year, providing funding for up to $50,000 of care services per person, per year including nursing, home assistance, nutrition, meal preparation and transport support. An extra 20,000 home care packages have been added in the past year, representing a 40 per cent increase. However, it is not enough to dint a waiting list of almost 127,000 seniors who’ve applied for packages. 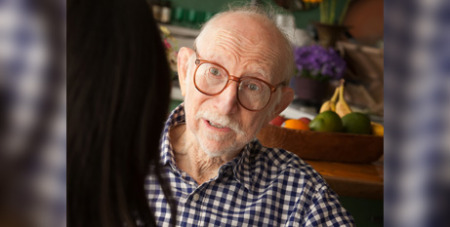 Centacare senior director of community services David Oliver said the rollout of additional high-level home packages would be a welcome relief to older Australians waiting in the national queue. “This is a good step but there’s still a lot more to do to make sure that older people can adequately access the support they need to maintain their independence,” Mr Oliver said. Centacare is a Government-approved home care package provider with more than 30 years aged care experience. “Living independently and in their own community is important to many people as they grow older and it’s critical they have quality care options available to them,” Mr Oliver said. Level-three home care packages are targeted towards those with intermediate care needs and provides individuals with up to $33,000 per year. Level four is suitable for seniors with high-level care needs, for example those who may require daily visits from a care worker or a nurse, with the Government paying up to $50,250 each year. In addition to the home care packages boost, an extra $15 million is to go to Commonwealth Home Support Program providers to complete thousands of home modifications across the country, which the Government said would mean “greater certainty and more options” for older Aussies.